Water rafting is a recreational sport that requires a raft to navigate the river water. It can be done on mild waters as well as rough water. Rafting on rough water is a challenging task and adventure lovers all over the world are hooked on to it. One of the reasons for its popularity is that this sport can be enjoyed alone as well as with family and friends. 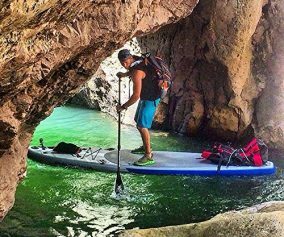 As with everything else in life, there is no single size or type of raft that is perfect for every kind of use. To be honest, life and raft selection is so full of compromises! Manufacturers have been continuously improving and improvising the designs of floating rafts to suit different customer needs. Some rafts are designed for solo rafting while others can be used by multiple users at the same time. 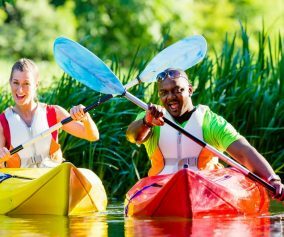 If this is your first time rafting than be assured that you would be switching over to different types of rafts as you become expert at rafting. When it comes to inflatable rafts, Intex is a trusted name. 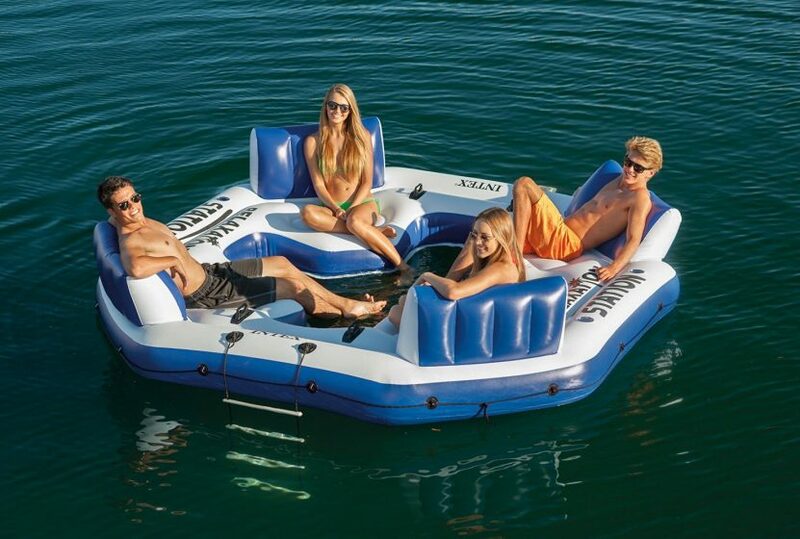 This 4-Person Relaxation Station tube raft is sleek, sporty and beautifully designed. 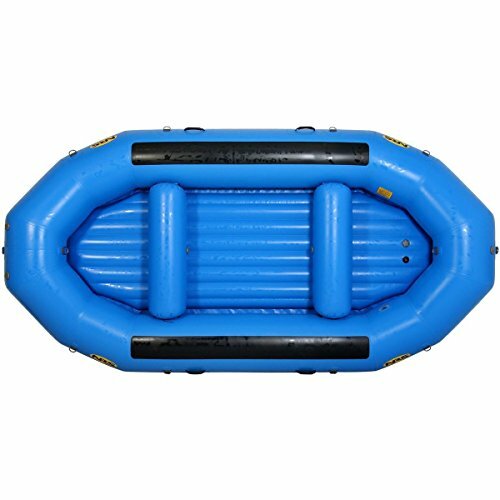 The floating raft is available in blue color and can carry up to 4 adults at a time. 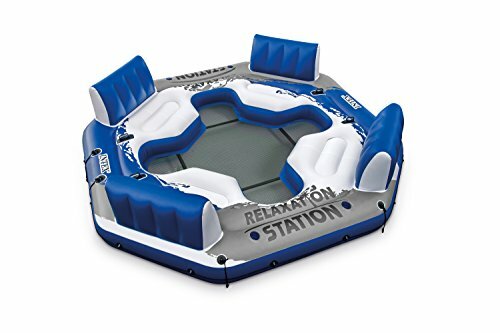 With an octagonal shape, four seats with backrest, four glass holders and a mesh center, this raft lets you enjoy a fun summer day with family and friends. It has a rope ladder with rigid plastic steps to enable easy climbing. Intex Relaxation Station has been made out of 18-guage vinyl to provide durability. This raft is for people who can spend a few extra bucks to enjoy an absolutely unforgettable experience at whitewater rafting. This raft has seven air chambers with Leafield B7 valves. 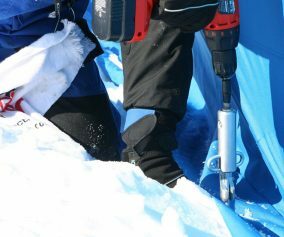 Outer tubes and inner floor have been made out of 2000denier PVC to brace the impact of rough waters. It weighs 146lbs and is equipped with 2 standard thwarts, 10 D-rings and four carry handles. The boat has been designed for 8 to 9 paddlers and the packaging also includes a repair kit for the boat. It is one of the most popular multi-purpose rafts by Otter, with the capacity of holding up to 8 crew members. You can load it for a weekend to enjoy your time on water or you can add an NRS fishing frame and spend your day fishing. It is made of thick Pennel Orca material, which is known for its strength, durability and UV resistance. Added durability is provided by the HD40 floor armor at the bottom which saves it from the wear and tear by rocks and boulders under water. Maravia is the modified larger version of Diablo. The design enables you to put in more gear as compared to the previous version and allow more people to sit in at the bow and stern. The raft has been built to counter upstream canyon winds in the afternoon. 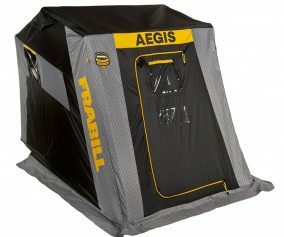 It is 15 feet long and 7 feet wide and can easily host 3 to 4 people along with the overnight gear. It comes with two thwarts but attachment for four is also available.